Don Craig, Inc.About Us - Don Craig, Inc.
Don Craig Consulting specializes in providing high quality outsourcing services that result in cost savings through the collaboration and teamwork of its manufacturing relationships. We respect all people and believe that the success of our business, starts by building strong relationships with our clients’ and supply chain. We work tirelessly with our supply chain to produce high quality products with a consistent stream of clear communication to our valued clients throughout the process. We believe that all people, whether clients, factory owners, vendors and workers, staff, or the people we meet as we travel, deserve to be treated with dignity and respect. We believe that building strong relationships, through the mutual respect we develop with our clients and vendors, along with timely, clear communication is the foundation of our business. It is our goal to exceed, not just meet, the expectations and needs of our clients, and to do so reliably on every project. Client satisfaction is our number one priority, by providing responsive service with integrity, simplicity and a passion for excellence. 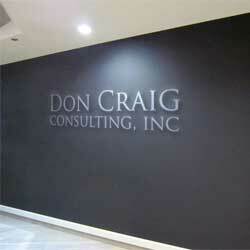 Don Craig has been providing consulting services to its’ clients throughout the US for over 25 years. Our extensive knowledge of the Chinese international markets have a proven track record of on-going results. As a service provider, our clients are primarily US based small to medium size companies. Over the years we have developed a thorough knowledge of the Asian culture and with exceptional communication skills, we are able to negotiate and secure very favorable terms. Our team has a global vision that combines a depth of sourcing information, production and systems detail and efficient use of time. Having owned and operated our own US based production facility for many years, we clearly understand the components of manufacturing and quality control. 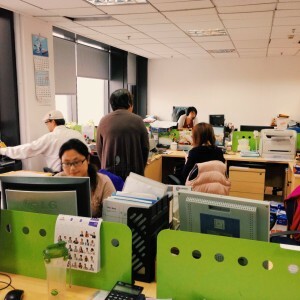 Combining our domestic knowledge and extensive experience of working in China, our team is your choice for a partnership that is personal and delivers results.